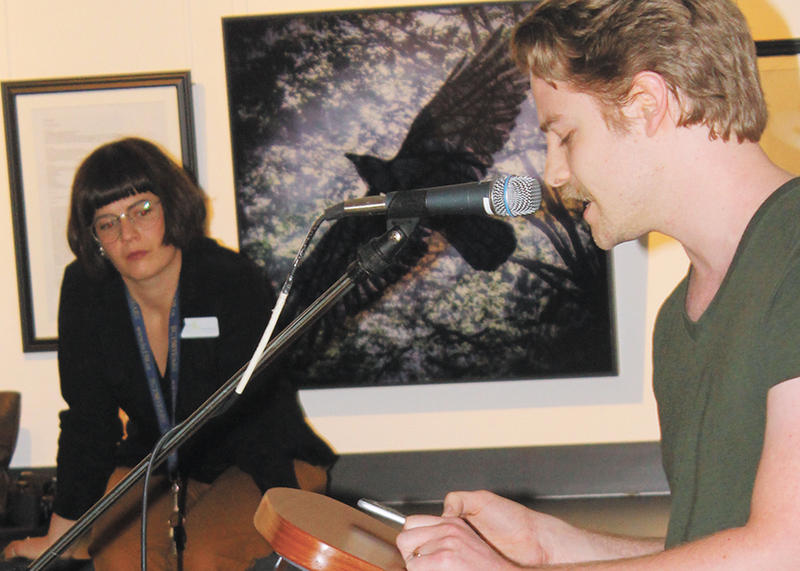 Hear and See: Poetry and Art for Mental Health featured the work of 14 poets and the same number of artists at the Abbotsford gallery from March to early May 2018. The exhibit was facilitated by the Communitas Supportive Care Society, which supports people who live with mental health challenges. Each of the artists and poets had some experience with mental health challenges, either personally or through someone close to them, or had some connection with Communitas. First, 14 writers expressed themselves using whatever form of poetry they chose, including rap, sonnet, haiku and free verse. Each work was then given to an artist, who interpreted it using such varied media as sculpture, painting, drawing or photography. The Reach gallery granted permission to display the works in its community art space. Each of the poems was displayed alongside its accompanying work of art. Hundreds of people, including school groups, came to view the works in the seven weeks of the gallery display. At a public reception and program on May 3, most of the poets were present to read their own works, and the artists talked about how they had interpreted the poems. It was the first time some of the artists and poets had met each other. Many in the audience said they were moved to hear such deep emotional sharing from the exhibitors, and the poets and artists in turn said they felt validated to have their works viewed and appreciated by the public. The exhibit will again be on display in December at the O’Connor Gallery at the Chilliwack Cultural Centre. Dawson said that a display focussing on mental health will be especially appropriate at that time of year, as many people experience increased depression and anxiety around the Christmas holidays.